Child custody could be affected with number of factors. Losing your job is stressful for the family as you worry about finding another job before your savings run out. However, for parents dealing with a custody dispute, the loss of a job is even more stressful because of worrying about how the loss of income will affect child custody and child support. The loss of your job should not have an immediate effect on your child custody. Only if losing your job results in severe poverty, then this could have an impact on child custody. If you do not have a suitable place to live, you would need to change your child custody plans. Child custody and child support are two separate issues. The courts usually favor a child custody plan that allows the children to spend quality time with both parents. The income level of each parent is irrelevant. 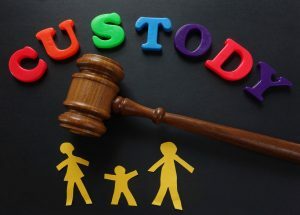 For example, If you are the non-custodial parent who has physical custody of the children every other weekend, the plan would be the same even after losing your job. Loss of your job will have a major impact on your child support obligation. If you cannot make the court-ordered child support, you need to contact the court immediately. Your payments will not automatically be reduced when you lose your job. To change or adjust a child support order, the court will review and assess the order. Any child support payments that are not made after losing your job, but before the child support order is changed, are still owed. You can only get a court order to reduce your future child support payments. Child support payments are based on the monthly gross income of each parent, number of kids, time allocation, and other factors. A change in your monthly gross income because you lost your job could reduce your child support payments. Similarly, after experiencing an income increase, your child support payments may increase again..
DISCLAIMER: We are not attorneys and do not provide legal advice. We are licensed LDAs and members of the California Legal Document Assistant Association (CALDA). The information provided on this website is based on material available from the CA Court, CALDA, and material which was reviewed and approved by an attorney licensed in CA.